Jang Ok Jung started off with a promising plot, attempting to reinterpret the life of the Joseon’s femme fatale Jang Heebin, or her real name Jang Ok-jung. I was okay with the idea, not foreseeing that it would be a bumpy ride with so many things happened in between the sweet beginning and the sorrowful ending. Since it’s based on the real life figures, the drama faced many obstacles in the form of comments and the most visible one, the ratings. Again, I was okay with the ratings even with the dismal numbers, but I guess the broadcasting station was not that thrilled with the outcome. Hence, the drama faced its first change in the plot, that was the appearance of the characters. 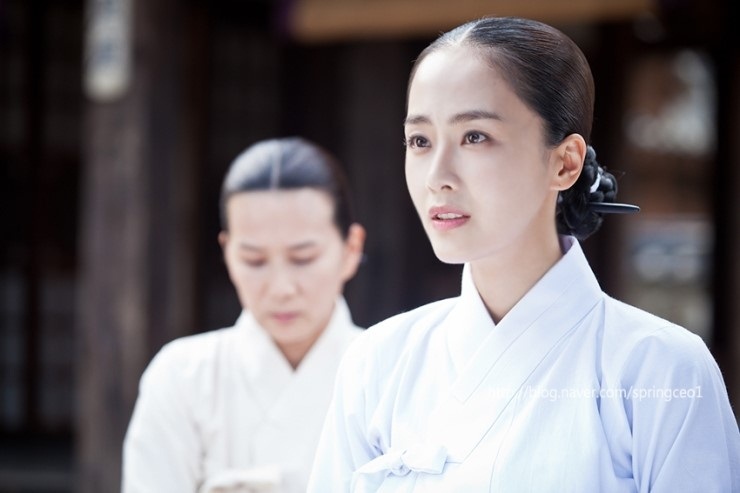 The spotlight of the drama was planned from the initial to be the love story of Lee Soon (later Sukjong) and Ok-jung (later Jang Heebin), but the team probably didn’t expect that the OTP (one true pairing) would be stealing the hearts of the viewers and the drama decided to focus on the romance. I love Yoo Ah-in and Kim Tae-hee and I won’t mind to see more of them on my screen, but the production team felt it was better to keep focusing on the two love birds and the second lead that was the cutie pie Prince Dongpyung (Lee Sang-yeob), instead of bringing the original second lead, Hyun Chi-soo (Jae Hee). In the childhood part, there was a hint of Chi-soo carrying the torch for Ok-jung since they were little and the original description of this character included the strong objection that he had against Lee Soon and Ok-jung’s relationship. However, with the love story taking the lead in capturing the viewers’ attention, Chi-soo was not really necessary to add more conflict and problem to the story and he’s pushed backward to only appear when the conflict was at its peak. The main target for the production team was to see the rise in ratings but they still failed to do so, even with the romance being the main focus in the first eight episodes. Then, they slowly changed the kind Ok-jung, the designer, into a cold and determined Jang Heebin, the king’s royal concubine. And looking through the changes, I realized something. Ok-jung is like the writer of this drama, who is still green in the world drama production. Ok-jung’s situation is not that different since she’s the newest girl in the palace, trying to be a loving companion to Lee Soon. However, both of them are constantly being reminded by the people around them about the consequences of their action. The writer is probably being urged to change the script, different from what she intended to show the viewers, simply because the team wants to see the drama to soar in the ratings. Ok-jung is the same: people around her keep reminding her about her low status and the need to secure and fight for her position. Being constantly intimidated by those people, both of them start to change: the writer changing the plot here and there to satisfy the team, and Ok-jung changing her personality because of her insecurities. Because of that, I don’t really blame the writer for changing the plot here and there; in fact, the way the industry works according to the ratings is disappointing. I know, it’s because of the revenue and many other things that contribute to the success of the drama, but the ratings are somehow limiting the creativity of the writers. They aren’t able to express themselves freely because of the public sentiments and in the end, they have to follow suit, changing their ideas accordingly in order to fit into the society. Ah, so sad. As for the (supposed) bad girls, Queen Inhyun (Hong Soo-hyun) didn’t change much throughout the drama, sticking to her passive nature but at times could be threatening and Choi Sukwon (Han Seung-yeon), on the other hand, was too one-dimensional. The drama changed its direction several times during the run and although the history wrote that Jang Heebin would die, Lee Soon’s constant affection towards her left people wondering if there would be any plotting in the background to save her life. There was, but in the end, the writer decided to went down the same path as in the the original novel where the drama is adapted from. At least we knew that Lee Soon’s love never changed and Jang Heebin was just trying to protect him from backslash from the ministers and also protecting their love. Jang Ok Jung, Live in Love has ended but to me, it left some unforgettable things that I’ll keep to myself probably in years to come. The cast did a good job, although being bombarded by critics left and right. There are some things that can be improved but all I can say is I’m content with the ending, though it could’ve been better. Maybe everyone was tired of this drama/ratings game and wanted to get out of the misery. I can’t blame them. To make up for the lousy post above (because I’m still trying to collect my thoughts properly…), here’s some additional information about the real history, a continuation from the post I made before. Enjoy. Sukjong ascended the throne at the age of 13 in 1674 after his father Hyeonjong passed away. Sukjong had a total of three queens consorts and seven concubines throughout his life. The drama showed the first two queens and two concubines: Queen Inkyung, Queen Inhyun, Jang Heebin, and Choi Sukwon. After Queen Inhyun and Jang Heebin passed away, Sukjong passed the law to prohibit any appointment of a concubine as the queen. He then married Queen Inwon and had other concubines, namely Park Myungbin, Kim Youngbin, Kim Kwi-in, and Yoo So-ui. As for his issues, Queen Inkyung gave birth to two daughters but both died young; Queen Inhyun didn’t conceive any child; Jang Heebin gave birth to two sons – Gyeongjong and Prince Seongsu who died young; Choi Sukbin had three sons – Prince Youngsu (died young), Yeongjo, and a prince, who also died young; and Park Myungbin had a son, Prince Yeonryeong. Chwiseondang, the quarters given by Sukjong to Jang Heebin in the drama, was a part of Changgyeonggung, or Changgyeong Palace. However, the place is not there anymore because it was destroyed in a fire during Yeongjo’s reign. Sukjong died in 1720, 19 years after the death of Queen Inhyun and Jang Heebin in 1701 while Prince Dongpyung died in 1702. Queen Inkyung was of the same age with Sukjong and they married in 1670 when they were both nine years old. She was infected with smallpox and died in 1680. Queen Inhyun was born in 1667 and married Sukjong one year after Queen Inkyung’s death in 1681. She was demoted from her status as a queen and exiled to Jeju Island in 1689 for five years during the Gisa Hwanguk. She then returned to the palace and appointed back as the queen in 1694 during Gapsul Hwanguk. Jang Heebin entered the palace at the age of 11 and eventually worked as lady-in-waiting to Queen Jangryeol per Prince Dongpyung’s recommendation. This was where Sukjong saw her when he visited the Grand Royal Queen Dowager Jo and made her his concubine with the rank Sukwon in 1686 before elevated to the rank Suk-ui in 1688. She gave birth to Gyeongjong in 1689 and made the highest level royal concubine with the title Heebin. Prince Dongpyung was the grandson of Injo and that made him the step grandson of Queen Jangryeol. 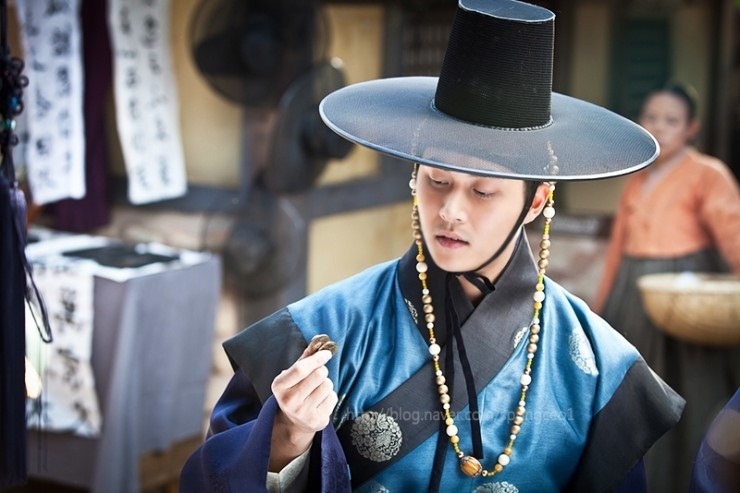 Another reason for putting this post up is just because of the pretty pretty pictures, credit to Jang Ok Jung’s official blog. Thanks for the piece about joseon history. I’m surprised to read that king sukjong married in his 9 years old. Wow! At such young age. Actually I don’t watch the drama, just read the recaps and regularly visiting soompi thread. Maybe I am the only one who don’t really like this drama, it’s just like another love square in any drama, only it sets in joseon dynasty. Pretty faces, pretty hanboks, good songs, but same old plot. Kinda wasting talented casts. Poor YAI and Jaehee. Thank you for this post. I needed something to quietly put an end to what ever emotional attachment was left in me regarding Jang Ok Jung. It’s a shame that such a promising drama completely crumbled after episode 9, which is exactly where I threw in my towel. Really love your juxtaposition between the writer and Jang Ok Jung, because they are ultimately in the same position. It’s inevitable that this team was out for good ratings, but in reality, what broadcasting company isn’t? After all, it’s all a money making industry. What I did get out of watching this even in my short run, is a crush on Yoo Ah In (haha) and I was able to see more of Kim Tae Hee’s acting. She received a lot of backlash during this drama, and I really couldn’t stand it. She tried, and I think she did break out of that “pretty actress shell” a little bit. One of my guilty pleasures was the drama My Princess, and to see her acting the complete opposite of cute and giddy really increased my respect for her. You’re welcome 🙂 Since the miracle of ratings that happened to choose MoonSun as the lucky drama, the sageuk makers are aiming to be just like that…but in reality, it needs both luck and good timing. 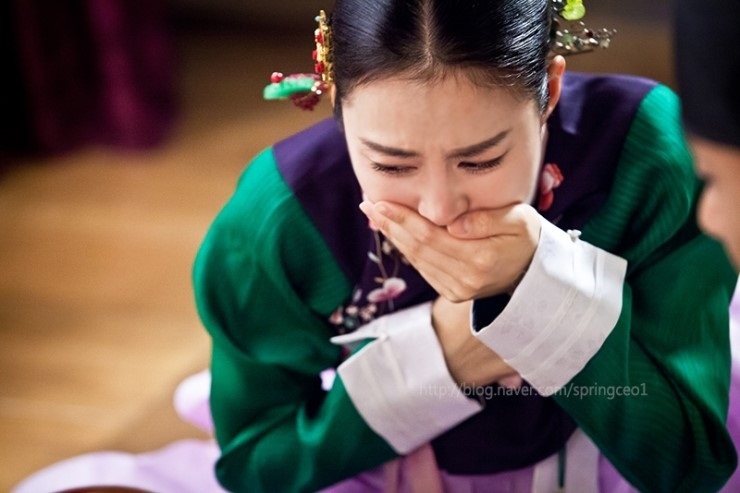 I guess Jang Ok Jung wasn’t lucky and the timing was bad, with so many sageuk airing at the same time. The ratings are divided even if they’re not on the same timeslot. Honestly, i am trying to move on by writing this post, sort of bidding goodbye to it, but the sweetness that was the first 9 episodes won’t be forgotten so easy, afterall. Same with you, I am glad I checked out the drama because I completely fall for Yoo Ah-in here. Hehehe. I watched several of his dramas but I think I was just fated to appreciate him more through this drama. As for Kim Tae-hee, she’s one hardworking woman and it won’t be easy to forget her lovely portrayal of Ok-jung. A sad fate indeed for a drama with great potential. May everyone involved in this fictional world rest in peace (minus Minister Min and Queen Dowager Kim). At least we got to witness the revelation of Kim Tae-hee. Too bad too few were there to witness it. I like your analogy of the writer to Ok-jung — over all I was pleased with the drama. It was flawed, yes — but the core love story was really beautifully told. But yeah, I can see how hard it must have been for a new writer in the shark-invested waters of the k-drama industry. I hope the writer won’t get traumatized from this experience. The story is beautiful and the only thing is the reception and the pressure of grtting high ratings. I hope to see her next work in a more friendly environment that is the cable. Yeah, I love cable channels nowadays! And I actually do wonder whether if Jang Ok Jung really poison Queen InHyun and her second son was her own (as wikipedia stated they are disputing his status)- I wonder why the drama did not show this part. Hello. Can I share your post at Cafe Daum who are promoting the pre-sales for the Director’s Cut DVD (eng subs)? This article is lovely and it should be shared with the Korean folks even though it is in English. On a side note, here are fan made trailers supporting the Director’s Cut DVD project for you to look at ^^. What does chwi seon dang mean? I know it is the quarters but i want to know the meaning of the name. I’ve yet to come across a good translation of the name but from the Hanja (就善堂), ‘chwiseon’ can be translated roughly as ‘excellent beauty’ and ‘dang’ means hall.